This turnkey, 2-story, home is perfectly situated at the end of a quiet and quaint cul-de-sac near Mount Vernon Park and Belvedere Heights. You will love the peaceful views of the nearby grassy Box Springs and Sugarloaf Mountains, as well as the warm feelings of being in a well established neighborhood. A welcoming entry opens up to the light and airy, spacious, formal living and dining rooms. This former model home shows true pride of ownership, boasting over 2,100 SF of living space, it features a bedroom and full bath downstairs, perfect for your guests or in-laws, an updated kitchen with beautiful cabinetry including, self closing drawers and cabinets. Upstairs you will find the master suite with a lovely updated bath with his and her closets, 2 additional nicely sized bedrooms, another pristine updated bath and ample linen storage in the hall. The oversized, attached 3 car garage has lots of great storage space and still provides plenty of room for the cars. 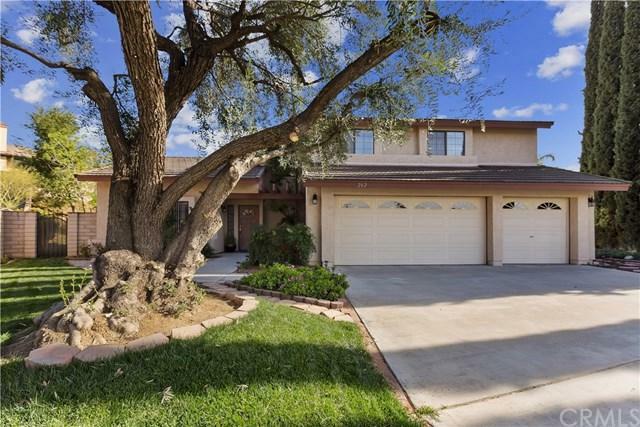 Minutes from UCR, schools, shopping and freeways. Sold by Rui Xia Herbst of Re/Max Elite Realty. Listing provided courtesy of Heidi Carter of Windermere R.E. Tower Prop.